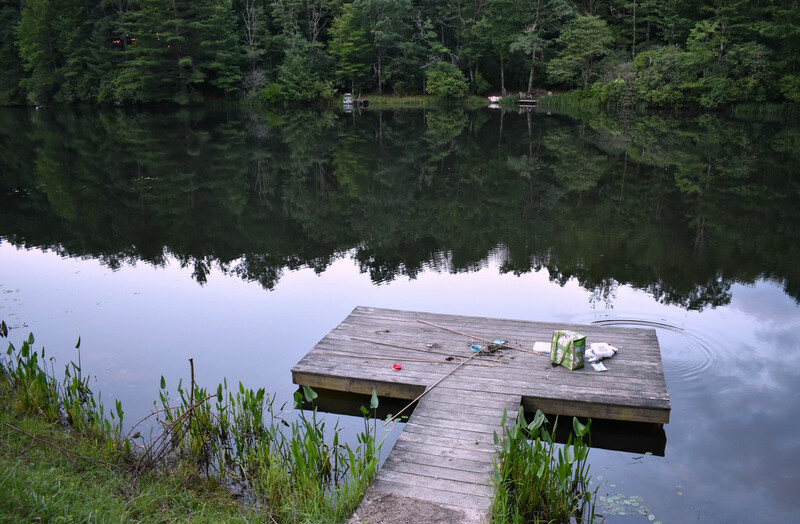 This was the private lake of the community that we stayed at in North Carolina. We brought our poles, but didn't end up fishing. We did take a swim and I jumped off the dock and the floating dock with the kids. Reminded me of my childhood lake vacations. Awww how sweet and fun. So inviting looking. Sounds like you had a good time there. Beautiful scene of a lake vacation--timeless! I love the idea of just jumping in. Nice image and I love the lone ripple!